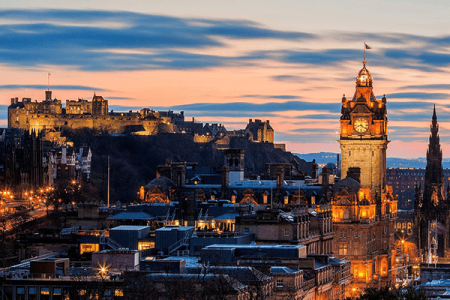 Drop by some of our favourite Edinburgh haunts on your Stag Do. We will take you to 7 of our favourite Edinburgh bars where you will recieve 5 shots, 1 cocktail and 1 jagerbomb. With drinks discount and VIP club entry afterwards. Our 24 hour party people will ensure you have a safe and unforgettable experience. You will visit bars from live music to nightclubs, only the best bars in the city! We can also do a Private Crawl (8 bars) or a Private Crawl & Gentlemen's Club. “During the day we done a Mini Highland Games and Clay Pigeon Shooting which were both fantastic! Then at night we headed out on Edinburgh town for the pub crawl - which was a perfect way to end an already fantastic day. A huge thank you to Great Away Days for taking the stress out of planning my mates stag do." “We had a great time on the pub crawl in Edinburgh with Great Away Days. It was the highlight of our weekend and brilliant to have people show us about as we hadn't all been to Edinburgh before and weren't sure what the best bars and clubs were! Thanks for organising this for us!" What's included: 7 bars, 5 shots, 1 cocktail, 1 jager bomb. Drinks discounts and VIP club entry.